Public lecture by Professor Hans-Werner Sinn. Introduced and chaired by Robert Falkner. While humankind has to fight climate change, the economic and technical constraints are severe. Local demand cuts may be countered by other countries’ increases due to price reactions. Resource owners may try to react with preemptive extraction. Bio energy may rival with food. Wind and solar energy may be too volatile. The lecture gave an overview of some of challenges and tries to point to potential solutions. 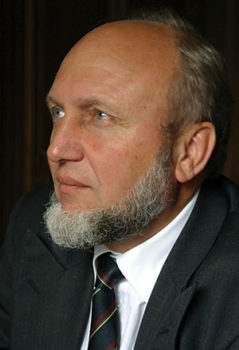 Hans-Werner Sinn was President of the Ifo Institute and Professor of Economics and Public Finance at the University of Munich until April 2016. He is a member of the Council of Economic Advisors to the German Ministry of Economics as well as former president of the International Institute of Public Finance (IIPF). Sinn holds honorary doctorate degrees of the universities of Magdeburg, Helsinki and HHL Leipzig Graduate School of Management and he has been honoured with the Maximilians Order. His fields of interest include the economics of transition, risk and insurance, natural resources, monetary trade theory and public finance. In these areas he has published more than 300 scholarly and policy articles. He has published a dozen monographs with more than 30 editions in six languages. They include titles such as Can Germany Still Be Saved?, Casino Capitalism, The Green Paradox and The Euro Trap. If you are planning to attend this event and would like details on how to get here and what time to arrive, as well as on accessibility and special requirements, please refer to LSE Events FAQ. LSE aims to ensure that people have equal access to these public events, but please contact the events organiser as far as possible in advance if you have any access requirements so that arrangements, where possible, can be made. If the event is ticketed, please ensure you get in touch in advance of the ticket release date. LSE has now introduced wireless for guests and visitors in association with ‘The Cloud’, also in use at many other locations across the UK. If you are on campus visiting for the day or attending a conference or event, you can connect your device to wireless. See more information and create an account at Join the Cloud.